My life can be punctuated with trips to Hoopers. It's not often people grow up with an attachment to a retailer, and it's certainly unusual to develop an attachment to one outside of London and without the fame associated with places like Harrods and Liberty. Why do I view Hoopers in this way? Let me explain. Before I lived in Manchester, I lived in Devon and before I lived in Devon, I lived in Manchester. My grandparents lived in nearby Wilmslow and they regularly visited the local Hoopers store, a gorgeously kitsch old department store catering to all sorts from fashion to fragrence, homewear and beauty. 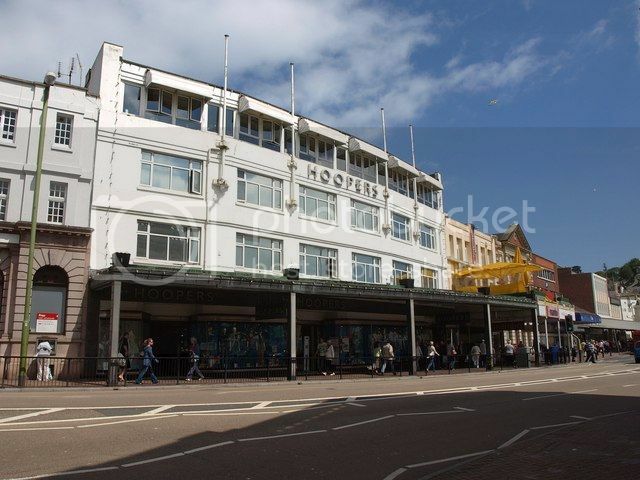 Hoopers was the name in understated class and I loved being taken there for a jacket potato with my Nanna when I was a boy. When my parents moved my family to Devon for a new life, there was Hoopers again, the small independent chain has it's oldest store in Torquay where it is the home for luxury and high-end labels in the region, the only place you can shop from Vogue in Devon. 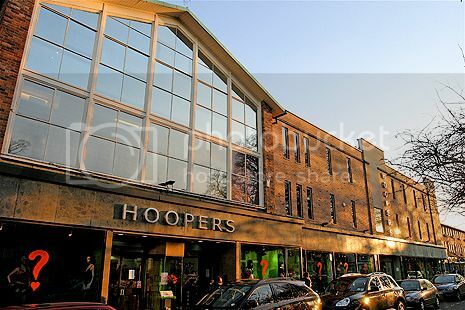 Whilst growing up and becoming more and more interested in fashion, Hoopers was a regular browsing spot for me, a place to see those expensive handbags up close and a place to start to understand the different between Burberry and Armani in a part of the world where so few know who Anna Wintour is. Then I moved back north, for University and to taste a more cosmopolitan kinda life and where should I land my first graduate job, but Wilmslow, right back where it all started with a jacket potato and pot of tea for two. If you're not close by Wilmslow or Torquay you can pop by Tunbridge Wells or Harrogate for the chain's other stores and travel back in time to the set of Are you being Served for stores where it seems there are more staff than customers at times and where a jacket potato wins over high tea any day.